Hallowe'en; is it really such a hall of horror? Popularly, yes! Horrifying it is! Traditionally, it's just the opposite. Let me explain. First, popularly, it's a night of contrived horror! 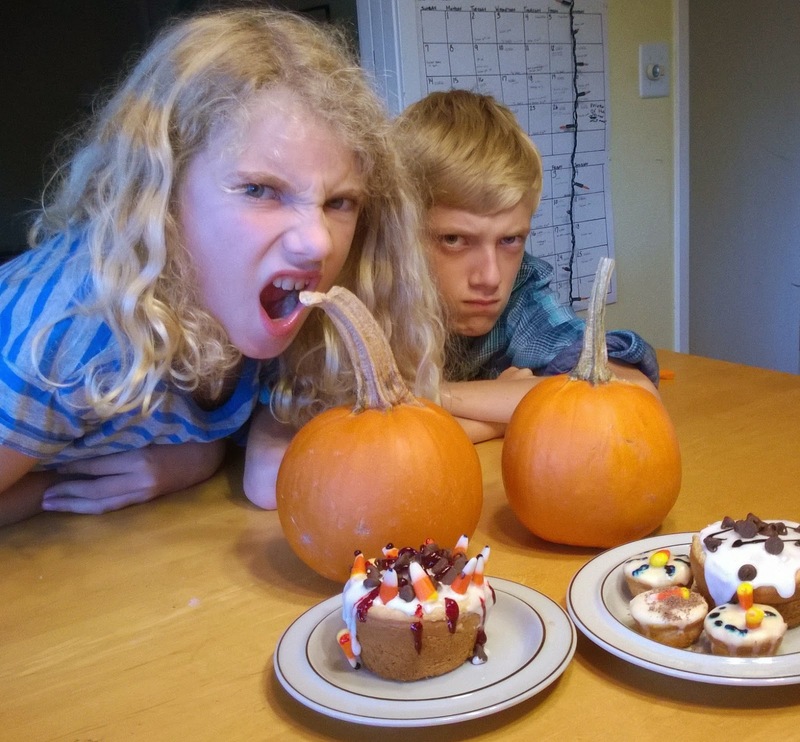 Let them make their own ghoulish treats. And have some fun at it. The pretend spirits of the dead (now known as tricker-treaters) will circulate in your neighborhood and could grow angry if you don't treat. We'll ply them with candy to avoid upended garbage cans or soap-writing on the window. What lies behind this? The old belief (superstition, if you wish) that the spirits of the deceased rise from their graves and pester the living on the evening of October 31 every year. To that point, in a small German town on October 31, 1960 I witnessed a graveyard filled with candles, one on each grave, glowing in the dark evening. A local explained: "The ghosts of the deceased hate the light. The candles keep them where they should remain: underground. "Coastal West Africans have similar beliefs about the deceased ancestors, and techniques for placating them. It's not an evening of horror. It's a joyful remembrance of our saints. November 1 is "All Saints Day" for Christians. Our word Halloween derives from an older word, Hallowe'en. Hallows is an old word for "Saintly Person." "All Hallows" means "all saintly person," or All Saints. Liturgically the remembrance of saints begins with vespers at sundown on October 31. Thus, our current word "Hallowe'en" just means All Hallows eve. Let your trick-or-treaters enjoy the night, and may you enjoy giving to them and watching them (while keeping tabs, too.) But add more joy by keeping remembrance of the saints. 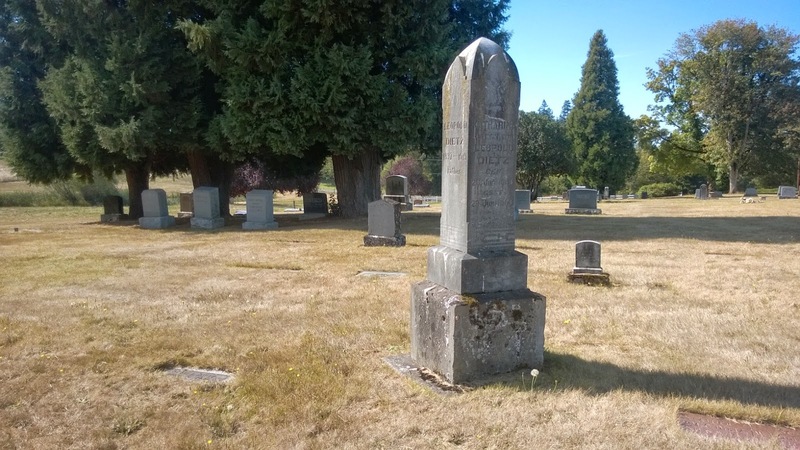 Old Bethany Cemetery, NW of Portland, Oregon. Somebody's saints are memorialized here. Who is your favorite saint or saints? How can remembering a great old saint or two help you and your family this Hallowe'en? A good question for a dinner table conversation? Or for a discussion group or fellowship group? If you like this posting feel free to share it. Oh, and Joyful Hallowe'en to you! P.S. Thanks to Eli, Abby and Lucy for their contributions to the posting.